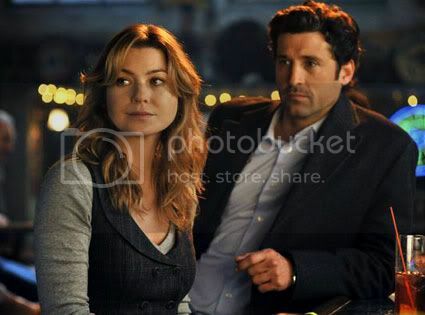 Shonda Rhimes recently spoke with EW and revealed that post-it note marriage or not, Derek and Meredith are in for a rocky road. Though, despite rumors the executive producer assures us that they’re in it for the long haul! “They will face relationship challenges, many of them work-oriented, in the second half of the season,” reveals creator Shonda Rhimes. “In order to [produce] a drama you need to have some drama,” Rhimes adds. Let’s face it, if there weren’t some rough times, Derek and Meredith’s relationship WOULDN’T make it, that’s just the nature of the beast. But, we can wonder specifically what’s in store.